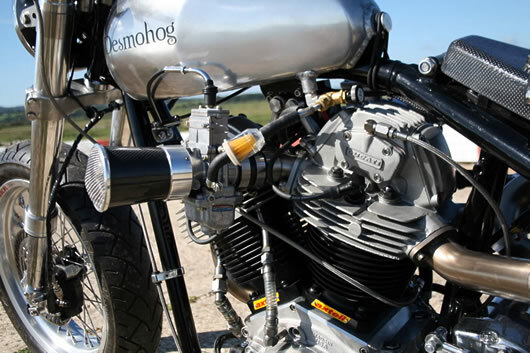 “The Desmohog was not designed to make the Harley engine something it will never be, I did it because I could,” says builder Chris Barber. 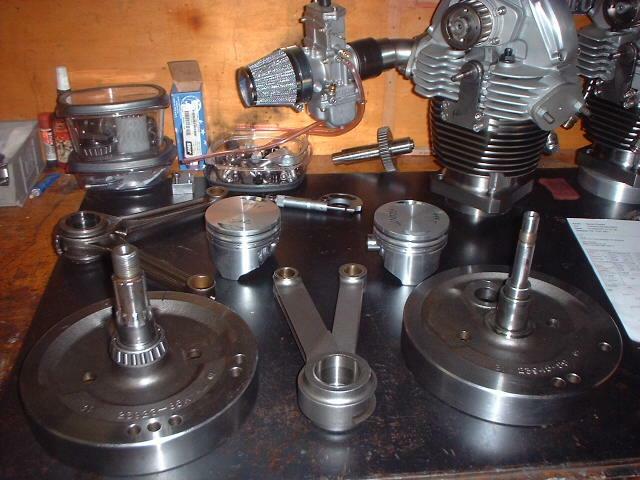 Carillo Rods, with stock stroke crankshaft and flat top Keith Black pistons, providing 10:1 compression ratio. Axtell cylinders made to my design from ductile cast iron. Two rear 900ss heads are used because the front has vertical fins, the front mounted head is turned through 180 degrees and runs a cam from the front cylinder of a 900ss. 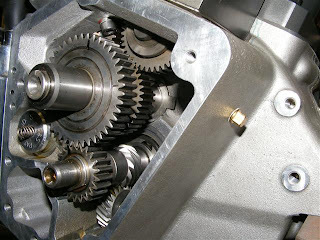 Lubrication is via a high volume pump running high ratio gears for more scavenging. Ducati cams run off the redundant Harley cam via a series of gears and toothed belts, the train of gears of various tooth numbers, allows for fine adjustment of valve timing.....it's also a bit confusing to time! Big Bike Europe Expo website goes live! Triumph 2012 - Britse Pond blijft betaalbaar! 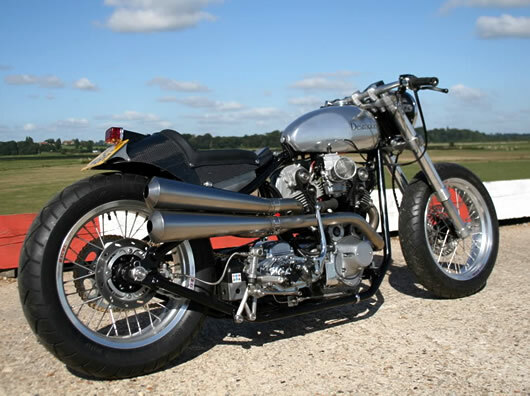 Norton Motorcycles wishes you a Happy New Year! NASH SICKLE GARAGE In L.A.